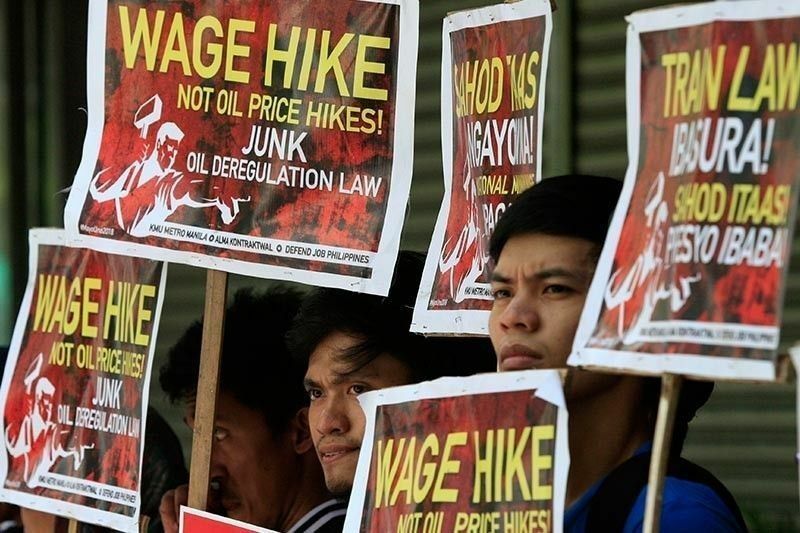 MANILA, Philippines — Fewer Japanese firms operating in the Philippines expect to expand this year and in 2020 compared to the previous year, amid concerns on rising wages and taxation procedures, a survey from Japan External Trade Organization (JETRO) showed. A summary of the 2018 JETRO Survey on Business Conditions of Japanese Companies in Asia and Oceania results for the Philippines prepared by JETRO Manila executive director Takashi Ishihara showed 52 percent of the 127 respondents are planning to expand their business this year and in 2020, lower than the 63 percent who said they were keen on expanding in 2018 to 2019. JETRO’s 2018 survey conducted from October to November last year covered 69 Japanese firms engaged in manufacturing and 58 in other sectors. Among the reasons cited by firms planning to expand this year and in 2020 are the expected increase in sales, growth of local market and requests made by clients. While more than half of respondents are planning to expand, 46 percent of the surveyed firms said they would keep their current size this year until 2020. Top challenges or obstacles for further expansion cited by the respondents are rising wage, quality of human resources, taxation, emerging cost-competitive rivals; and time consuming customs clearance. In terms of profit outlook, 56 percent expect to post higher income this year, up from last year’s 48 percent. Meanwhile, 35 percent expect to keep same level of profit this year as in 2018, lower than the 42 percent the previous survey. Ishihara said rising wage and ongoing labor issues are seen to reduce the advantage of the Philippines as an investment destination. He added Japanese firms expand concerns on the government’s plan to change the incentives regime under the tax reform program. “Many of Philippine respondents highly appreciate current tax incentives, while they are concerned about complicated taxation procedures,” he said. Under the government’s second package of tax reform or the Tax Reform for Attracting Better and Higher Quality Opportunities bill approved on third and final reading at the House of Representatives, the plan is to gradually bring down the corporate income tax rate to 20 percent by 2029 from 30 percent at present, and rationalize fiscal incentives, including removing the five percent tax on gross income earned (GIE) incentive enjoyed by firms registered with the Philippine Economic Zone Authority (PEZA). The five percent on GIE paid in lieu of all taxes enjoyed after using the income tax holidays is considered a crucial incentive by firms opting to operate at PEZA zones. This, as the five percent GIE makes it easier to do business with no need for firms to deal with local government units (LGUs) for payment of taxes as PEZA remits the LGUs’ share. The survey showed the country has advantages as an investment destination in terms of smooth communication with staff, competitive employee compensation, scale and growth potential of the local market, tax incentives and ease in hiring local human resources. Meanwhile, unclear interpretation and operation of policies, insufficient infrastructure, complicated taxation procedures, complicated administrative procedures and unstable politics and society were identified as risks or disadvantages of the country as an investment destination.